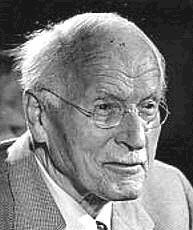 Carl Gustav Jung (1875-1961) was a psychiatrist, theoretician, artist, writer, and social critic who dedicated his life to the fullest exploration of the human psyche. Jung strove for the integration of empirical science with the humanities and his work lives on in many ways. The Myers-Briggs Type Inventory, based on Jung’s theory of psychological types, is widely used today. His psychology has influenced the work of such figures as Joseph Campbell, Paul Tillich, Arnold Toynbee, James Joyce, Samuel Beckett, and Herman Hesse. Although Jung had never met Bill Wilson personally, shortly before Jung’s death, he received a letter from Bill Wilson expressing his deep appreciation for Jung’s profound influence on the development of Alcoholics Anonymous. Analytical psychology, also referred to as depth psychology or archetypal psychology, is based on the work of C. G. Jung and evolved out of early models of psychoanalysis. It provides a way of exploring the content of the deep collective layer of the psyche and facilitates an integration of those unconscious contents with the ongoing personal experiences of the life we are living. Achieving balance in the psyche and an ability to hold the tension of the opposites aligns an individual with the Self, the deepest core of both individual and collective life. This method of inquiry is an ongoing process. Jung believed that the psyche is self-directed and goal oriented, or teleological. Various methods are utilized in depth psychotherapy including the exploration of dreams, inquiry into the lived cultural context through myths and symbols, and a facilitation of nonverbal awareness through such techniques as art, music, movement, and sandtray. In this way a spirit of play is honored, as is the place of symbol and the imagination. In analytical psychology, the greatest striving is to find and be one’s truest self. A personal exploration through the lens of Analytical Psychology is a journey toward wholeness.